My little Mak sporting a big eyepiece and, more importantly, a 6x30 finder. By the way, we had a very clear sky a few nights ago, so I got the telescope out and — after an AMAZING amount of faffing about — I saw Jupiter and four moons. Pretty neat! Awesome! No worries on the faffing about. One of the things I need to blog about on 10MA is how long it can take to find something for the first time, and how much you feel like a tool while you’re bumbling around in the dark, but also how much easier things get over time. Part of it is learning to point–it takes me much less time to get the telescope aimed where I want it these days–and part of it is learning to see. There are things that I’ve looked for in the past two years with no success that I found pretty easily this summer, just because I’ve been out looking and gotten my expectations in line with reality. So, if you’re new or relatively new to this and you are frustrated because it’s hard to find stuff and most stuff is too dim and occasionally you spend half an hour or more just trying to find one stinking thing and still fail, take heart. I’ve been there. A lot. I still end up there occasionally–just last night, in fact. I think every astronomer has been there. It will get better. Aperture, for one. As much as I like my small scopes, there’s just no arguing with physics: bigger glass gathers more photon, makes things brighter and therefore easier to recognize. Field of view is good, too. I’ve found some things this fall with my 15×70 binoculars that I never found in my 6″ reflector just because I had a nice big field in which to recognize them. A good low-power eyepiece for a telescope is indispensable. For a telescope, a good finder is very helpful. I upgraded my 6″ scope with a 9×50 RACI (right angle correct image) finder and put its 6×30 RACI finder on my little Mak, and both scopes have benefited tremendously. For anything, a steady mount to put it on so you’re not contending with the shakes. This is not a trivial consideration. For the first year that I owned the little Mak I had it on a cheap camera tripod, and I hated it. Never used it. Seriously. Then I got a nice tripod and a solid, smoothly-moving head and almost overnight that scope went from being my most hated to my most favorite. There is a saying in amateur astronomy that the mount is half the telescope. I think it might even be a little more than half. I’d rather use a merely average scope on a solid mount than a world-class instrument on a shaky mount. All these things are good. They’re fixable, and you can fix them without breaking the bank. But they’re not really what this post is about. There are people with thousands invested in their equipment who still can’t find anything in the sky, and other folks with homemade scopes cobbled together from odds and ends that can line ’em up and shoot ’em down on the deep sky. The difference is experience, and that comes with time, and only with time. So how do I find things, in terms of actual step-by-step instructions that you can use? I start with a map. It might be one of the monthly sky maps in Sky & Telescope or Astronomy, or a planisphere, or a star atlas. Using the naked eye, I orient the map to the bright stars in the sky and get an idea of roughly where I need to point the telescope. Usually I don’t try to point the telescope at the object of interest immediately. Instead I start on a nearby bright star so I can get my bearings, and then star hop to my target. If I’m having a hard time finding the star I want, I pull out some regular binoculars and do a quick scan around the sky. Binoculars are the perfect intermediate between the naked eye and the telescope, even if the telescope has a good finder. My friend with the 16″ telescope uses tripod-mounted binoculars as a kind of superfinder, which goes to show that the longer you do this, the more useful you’re likely to find your binoculars. Once I know where I want to point the telescope, I crouch behind it or lean over and sight down the tube. Even on the little Mak this is a helpful step. Hopefully that will put my starting star in the field of the finderscope. Sometimes I end up faffing about even at this stage! Once I’ve got my quarry, I move the scope so that the object is centered in the finderscope. Hopefully that will put my starting star near the center of the field of the telescope, using whichever eyepiece yields the lowest magnification and the widest field. If it doesn’t, the alignment of the finder needs to be adjusted. A good target for this is Polaris, because unlike the other stars in the sky, it doesn’t move noticeably as the Earth turns. Using the finderscope and the low-power eyepiece, I star hop to the object of interest. This step is not necessary for bright objects like the moon, bright planets, some double stars, and the brighter deep sky objects, but for everything else–most nebulae, star clusters, and galaxies–it’s crucial. Star hopping involves recognizing simple patterns of stars, like lines, basic shapes, and so on, that will guide you from your starting point to the object of interest. The first time you do any given hop, it’s imperative to have the map in your lap or sitting on a chair or table right next to the scope. More on star-hopping in a future post, but at its heart it’s really just doing this repeatedly. Once I’ve found the object of interest with the low-power eyepiece, I center it in the field of view and swap out that eyepiece for something yielding more magnification. The optimum magnification for any given object will vary depending on the condition of the sky–how much skyglow from the setting or rising sun, the moon, light pollution; the quality of the seeing (atmospheric turbulence). Frequently I push the magnification until the image starts looking ugly and then back down a step or two. Many objects, especially open clusters, look better at relatively low magnifications. But now we’re off of finding and on to observing, about which much more later. So if you’re having trouble getting your targets in the eyepiece, don’t give up hope, and don’t give up observing. There’s no shame in taking a break after a failed search and treating yourself to something pretty and easy, like Jupiter or one of your favorite DSOs. I did so just last night. Don’t forget to step away from the instrument from time to time, lean back, and try to absorb it all with the ole Mark 1 eyeball. Your nose may be bloody but you’re in the game. You’re out under the stars, and you’re finding your way around the universe. There’s a lot of it to learn. Give it time. Thanks for this post! It helps tremendously. I didn’t know that I was faffing! Is that a productive activity?? Seriously, this helps a lot. My main issue with finding things is that the sky I see, the stars I’m able to see, don’t make sense with a full star chart. The skies were MUCH better a couple weeks ago when I was in Flagstaff – almost TOO many stars to find anything. 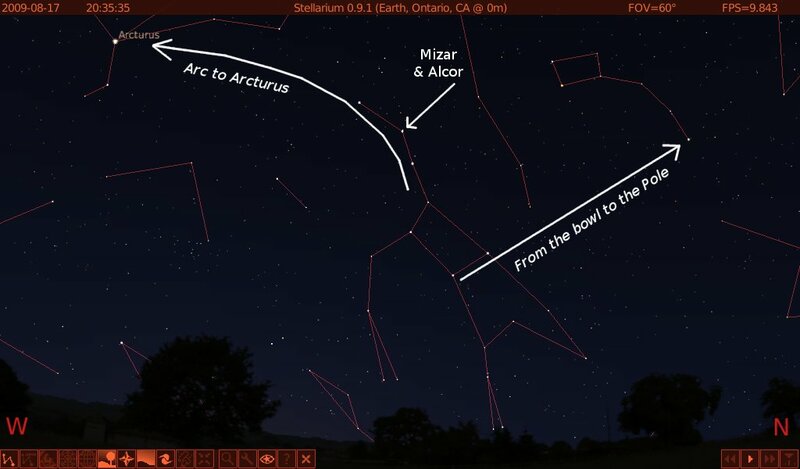 Haven’t seen this blog before until you linked it to your recent Mak 90 sidewalk astronomy piece. 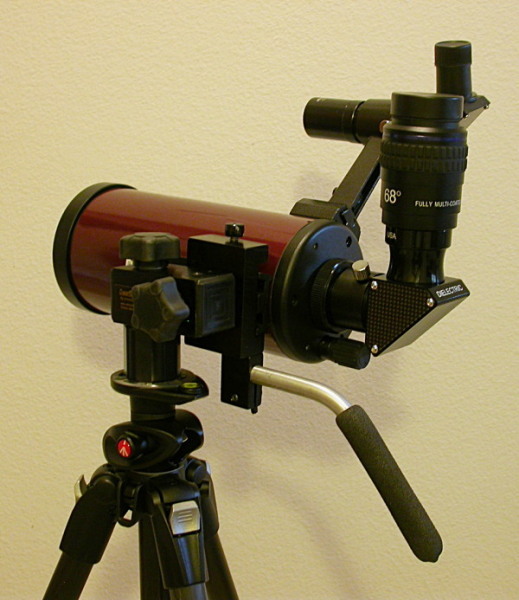 I tried putting the C90 Mak on an Orion tabletop mount attached to a Manfrotto (similar to what you have with your Dwarf Star pictured above), but the diagonal and eyepiece just gets in the way of the small stock finderscope. Need to get a RACI finderscope if I want to use it with this mount/tripod arrangement. With the Versago II alt-az (the mount holds the scope from the right-, rather than the left-hand side), the small stock finder scope is now located on the bottom left of the OTA, so it can be used with the C90 Mak if you don’t mind seeking targets from this position.